GRAFENWOEHR, Germany — Tired of traveling to tourist hot spots like Italy, Spain or Greece? 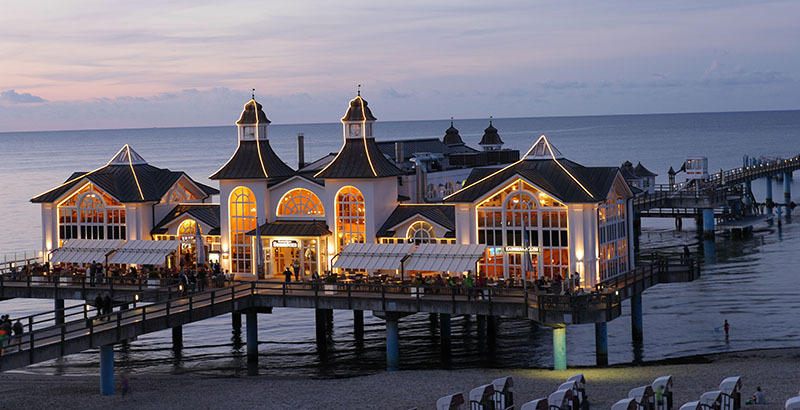 Then spend your summer vacation at Germany’s finest beaches. Wait … Germany has beaches? While the south of Germany is known for its medieval towns and romantic lake fronts, Germany’s north offers some of the most beautiful white sand beaches, surrounded by white chalk cliffs and sandy dunes. With temperatures exceeding 80 degrees Fahrenheit already in the south, the cool breezy northern summers with temperatures in the 70s is just what most people seek to catch a relaxing break by the sea. Locals take their beach time very serious, and Germany’s beaches are typically not flooded with herds of tourists from around the globe. While May is relatively calm, crowds start building up during June until peak season is reached in July and August. The North Sea is also famous for its Wadden Sea. The Wadden Sea is an intertidal zone, meaning that the area is above water at low tide and under water at high tide. The area offers a resting zone for migrating birds and seals, but is also the habitat of many types of sea life. Local businesses offer tours through the Wadden area at low tide. Where are you going to spend your summer vacation this year? For more information on Germany’s sandy jewels, visit the culture trip.